On the bright side, the text is well written with few spelling errors and a whole new chapter about deployment to the new standalone Weblogic server. Such a chapter did not exist in the older book for JDeveloper 10g. In addition, there is more information about using version control in JDev11g. Its tutorial form beginning at chapter 16, is easy to follow, in order to create a complete application for your practice. 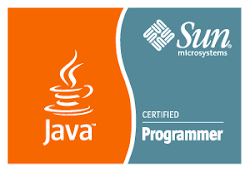 Its structure resembles the step by step, successful training methodology providing end of chapter source code solutions, as used in Oracle University classes. Such hands on practice is not present in the newer "Fusion Developer's guide" by F.Nimphius et al. Furthermore, the full source code was available for download, as well as a dedicated forum for discussions of issues. On the dark side, the source code and application were developed with an older version of JDeveloper 11g, some text about tags, labels etc, especially in chapter 21 about security, were not present in the newer versions. Thus, if you attempt to build yourself the application from scratch in the newer JDeveloper version 11.1.1.2.0, as I tried, you shall need a great deal of patience, since there were incompatibilities and bugs found, as mentioned further in the link: http://www.tuhra.com/ where you are to sign in with OTN, and publicly at http://forums.oracle.com/forums/thread.jspa?threadID=1030502 . Moreover, the text of chapters before 16 is tedious to read, as several chapters are rather theoretical. Taskflows surely deserved a more practical approach and a do it your self add on, such as the hands on work by S.Muench, provided with his articles in Oracle magazine. There is no mention for alternative model technologies, such as JPA, EJB or POJOS throughout the book. All in all, the book was well written and the source code given complete, as of the date of the release of JDeveloper version 11.1.1.1.0. Since then, a lot seems to have changed, older code has gone stale and a book published in December 2009 has been deprecated in only a number of months! Nonetheless, it certainly remains still the best option for the beginners, for the time being. I am actually looking forward to a new edition, or even a reprint of the book, correcting all known errata and issues.